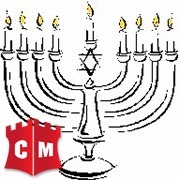 Happy Hanukkah from Centel Media. 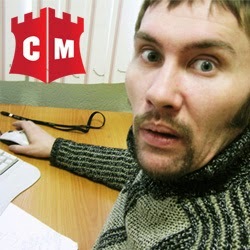 In honor of the holiday, we present eight crazy days of online reputation management. Check back here for posts about new products and services. We’ll keep the candle burning for you. It has finally happened. After a 52-48 vote in the Senate, the Democrats have taken away the Republicans’ ability to filibuster them. This is a pretty big deal in our current political climate because the Republican Party has basically taken every opportunity to filibuster as much of the Democrats’ legislation as possible. At the same time, the filibuster was the last defense Republicans had to prevent Democrats from seizing total control of some governmental processes. The merit of this move rests in a very grey area, because, from this point forward, all minority parties will have no ability to negate important actions taken by the majority. Yet, this 'nuclear option' was only considered because the stalemate in Washington made any form of progress impossible. In all, this is a desperate effort by the Democrats to end the government’s negative image in the eyes of the American people. Political gridlock doesn't do a thing for the voting public and it makes the entire government look incompetent, reinforcing the popular viewpoint that our government can't do anything to help those it’s supposed to serve. If the government was a business, they’d never make it off the ground, especially if they kept the poor reputation they have now. Unfortunately, the government has a lot more room for failure than any business would. But, if the government was a company looking to fix its image, what could it do? Well, actual results would probably help, but that’s not enough. When the public is set on a general opinion, it’s very difficult to break it. The only option is to tackle that opinion head-on and reinforce another image, one that shows a willingness to change and a plan to do so. Fixing a negative reputation is hard enough, but online it’s an even greater challenge. 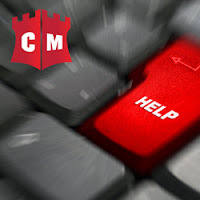 Centel Media™, the premier online reputation management firm, has many resources that could help any organization solve their negative image problems. Our negative suppression services, which cover articles, reviews, images, and videos, are designed to push aside negative criticism directed towards an individual or group. To help improve a reputation in need, we can also post press releases about what our clients are doing correctly. While it is easy to bash the government, one should keep in mind that there is always a chance for redemption. With the right reputation, strategy and action, even our dysfunctional government can be saved. Nokia was once the king of portable phones, being the largest mobile phone company in the world. Then, what happened? The smartphone. It left their mobile devices with a feeling of antiquity. While they still sell other products, such as home phones and networking equipment, mobile phones were how they stayed in the limelight as a household name. The possible buyout from Microsoft might be the key to recovering their image, but what could they have done differently in the PR department to stay relevant on their own? Commercially, there are a few factors that caused Nokia to fall off the pop culture radar. Their electronics, design-wise, always had a very dated feel to them, unlike the sleek appearance of modern phones like the iPhone and Galaxy. When those phones first arrived on the market, Nokia's brand was already established, but the company seemed unable to shed that old phone image. Thus, try as they may, it was inevitable they would fail. Those silver, grey and black colors of Nokia's phones did categorize the ‘90s and early 2000s, but the company struggled to adapt as technology grew beyond their products. They have recently tried to change their image by designing decent smartphones, but their new models haven't added enough to distinguish themselves from the pack. That outdated image of theirs really followed them through the years. Nokia could have used a more innovative phone redesign, but they also needed to change their appearance. How? Through advertising on social media sites. Go for a more aggressive marketing campaign by targeting younger demographics who’d be more likely to use mobile phones. With the right tactics, Nokia could have stripped away its old image and adopted a better, more modern, identity. A company like Nokia should have used the services of a top-rated online reputation management company like Centel Media™. We deal with all things online, from social media support to the suppression of negative criticism from sources such as articles, images, videos, and reviews. We can even provide ways for your company to rebrand itself by designing websites, creating press releases, and optimizing Google AdWords. Hopefully Nokia can improve after their expected deal with Microsoft, but don't let your company fall to Nokia’s lows before taking action. If you’re without the right online approach, call on Centel Media™ to secure your online reputation management strategies. Toronto Mayor Rob Ford: An Honest Role Model? The outspoken and embattled mayor of Toronto has certainly grabbed headlines around the globe. Rob Ford prides himself on his honesty and refuses to step down no matter what he confesses to. He feels the voters of Toronto should decide whether or not he leaves office when they vote next year. The city council does not agree. For some odd reason, they don’t like videos of their drunk mayor going viral. They don’t like his admission of smoking crack cocaine last year during a different drunken episode. And, they haven’t seemed to be fond of reports that he bought illegal drugs while in office. But, as the council scrambles to divest Ford of his powers, he’s stood by his promise that he will not take a leave of absence. Despite his confessed actions and suspicions of greater wrongs not yet uncovered, Ford has his share of fans. In an era when politicians often try to portray themselves as patriotic, family oriented, and trustworthy, only later to be debunked by scandal, Ford’s honesty has a refreshing ring. In most of his interviews he talks about staying in office to serve the people, and he genuinely seems to mean it. But how far can a political leader go before his mistakes become too much? It raises an interesting question of conscience for voters. What mistakes are unforgivable? Shady financial dealings? Drug use? Alcoholism? Extramarital affairs? Or is everything okay provided when caught, the politician apologizes profusely and appears repentant? Right now the public can’t seem to get enough of Rob Ford and his out of control behavior. Monday it was announced that Rob and his brother Doug would now host a TV show. Maybe crime does pay. At Centel Media™, we know the Rob Fords of this world are rare, but everyone has a reputation to consider. Your competition may be trying to smear yours with innuendo or outright untruth. Our team can monitor your online presence to make sure that you are accurately and positively portrayed. We can monitor your online reputation and suppress negative online articles, videos and reviews. Don’t be caught unaware or unready for whatever media coverage might come your way. Let us help you. Alec Baldwin is one of those Hollywood actors with a mixed image. On one hand, he is respected for his acting talent and charisma in movies and television. On the other hand, he has well-publicized scandals that involve airliners, mobile games, and hurling insults at his own daughter. Like him or hate him, he remains an influential and popular actor. Most actors and actresses deal with harassment from the paparazzi constantly, an act many would consider a legal form of stalking. But it’s when there’s a true case of stalking that an actor or actress runs into problems that may spiral away from their control. Enter one Genevieve Sabourin, a Canadian woman who met Baldwin on a movie set in 2002 and later in 2010 at a dinner. She claims to have had a very intimate relationship with him starting in 2011, but Baldwin has flatly denied her allegations in court hearings, adding that she was imagining all of these scenarios in her head. While one can make the argument that Baldwin is lying due to his past mistakes, Sabourin's behavior and activities have not made her case supportable in the least. Baldwin has been avoiding journalists regarding the trial, while Sabourin gleefully absorbs the media attention. She was also arrested many times and even defied a restraining order by attempting to contact Baldwin and his wife online. Baldwin has a big problem here. Once again, he’ll be needing to spend some time cleaning up his image after the trial. Even if Sabourin's story was proven to be completely false in the future, he still has to deal with the current media backlash and negative comments by people who don’t like how Baldwin handled the case. Even worse, if someone manages to prove his side of the story wrong, his marriage would most likely end and nobody would ever take him seriously again. Any negativity will have an adverse impact on the targeted person or organization. 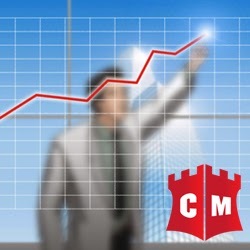 Centel Media™, the top-rated online reputation management firm, has the ability to restrict negative commentary surrounding a client on the Internet, especially if the criticism is unwarranted. The service suppresses negative articles, reviews, images, and videos down from the top pages on a search engine. To counteract damage, we also create press releases that steer public attention towards positive characteristics that show your value and originality in comparison to others in your field. Don't let negativity, stalker or otherwise, damage your reputation, consider letting us handle your problems. Senator Rand Paul has been spotlighted in the Republican Party because he stands up for his beliefs. He is most famous for creating a filibuster against the White House to prevent using drones on American soil. This week, his reputation suffered a devastating hit with allegations that many of his speeches, and even some portions of his book, have had plagiarized phrases. Accusers located the sources, which include Wikipedia and The Heritage Foundation. While these sources don't seem to mind very much, the implications are still having a negative effect on Senator Paul’s image. This incident sheds doubt not only on the Senator's office but on the man himself. Paul has been unwavering in the defense of his reputation. He has called for metaphorical duels with detractors and reassured people that he would never try to misrepresent himself. According to him, his past work should prove his honor and integrity, but accusers have relished in detaching the known figure from his image. By admitting that his office made some mistakes and promising to add footnotes to all his material, Paul has attempted to redeem himself. But that doesn't change the fact that his office has made an inexcusably unprofessional mistake. Businesses often suffer image problems like these, and the solutions are not always easy. Rival companies look for situations that allow them to gain an advantage over their competitors. Disgruntled employees and dissatisfied customers lurk online at various sites and news outlets, waiting for the opportunity to lash out at an establishment they feel has disenfranchised them. Every company has to deal with this problem, and letting it fester can lead to disastrous consequences. These allegations may hurt Paul's chances in 2016, but Centel Media™ believes that every company or individual should be able to maintain a positive image. If your brand has been the target of negative publicity, online reputationmanagement services can help you regain your standing. When you or your company’s reputation has taken a hit, we can provide negative suppression services that target articles, videos, images and reviews. 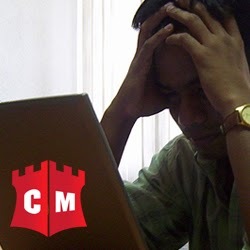 Our team of writers and computer experts can publish press releases to show off your company’s accomplishments, further driving negativity into obscurity. We want you to own your online reputation and will not allow any detractors to cast doubt upon you or your business.